Miller is a little bit excitable. 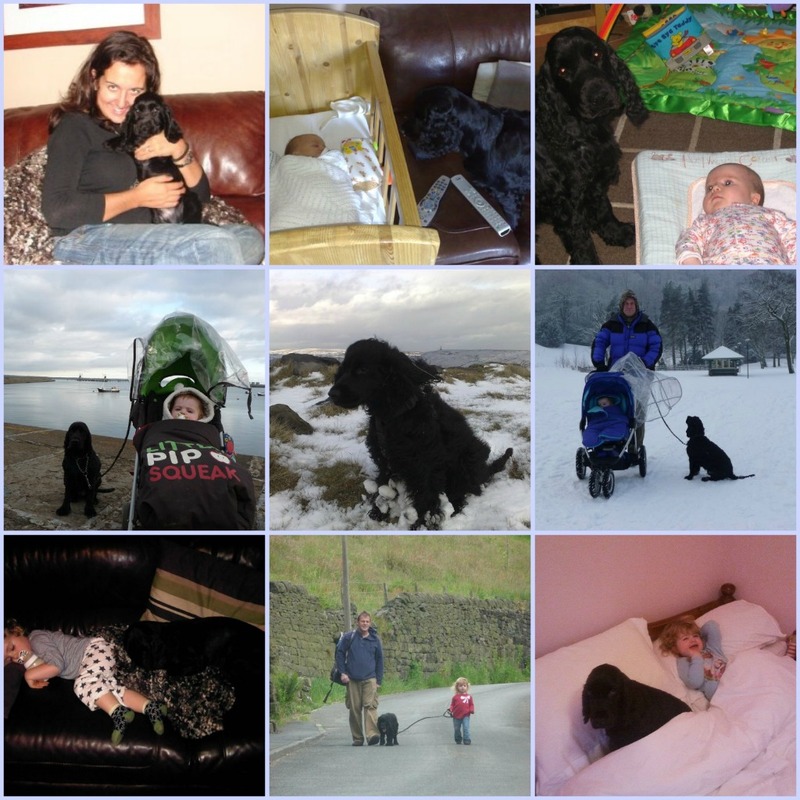 We hear from people who meet him that all cocker spaniels are. Miller is part of our family, and whilst Tony and I don't necessarily agree on where he sits in the importance chain (the children first every time- surely! ), it has to be said that Miller can put a smile on everyone's face, whether you've had the worst day at work, or horrible mummy won't let you have your own way. We've had Miller since a pup, he'll be five this year. From the early days we knew he had a sensitive digestive system and needed plenty of fibre in his diet- we started with weetabix and bananas- Seren thought it very funny that they both had the same breakfast. And regardless of how long the walks were that Tony went on with him and Seren, we have always had to be vigilant of his weight and the food he eats. When I was offered the opportunity to let Miller review Symply dog food from Pets Corner I jumped at the chance, finally, Miller's vigilant watch, next to me as I sit tap, tap, tapping would be rewarded- Miller would benefit from my blog! Miller has lived on dry dog food since the visits to the vets about his digestion became frequent. By ensuring he had a balanced diet he would feel better. I remain unconvinced on dry dog food, and maybe some milk gets sloshed in from time to time. We were sent Adult Lamb & Rice food for the purposes of the review. The ifrst thing we noticed is the lack of smell, this is a benefit in my world, I am not sure about Miller's world- but if it doesn't detract from him eating it- it's not really a problem. Symply boasts that it is "Proudly made in the UK and containing only the finest, 100% natural ingredients, Symply is the healthiest pet food on the market today. 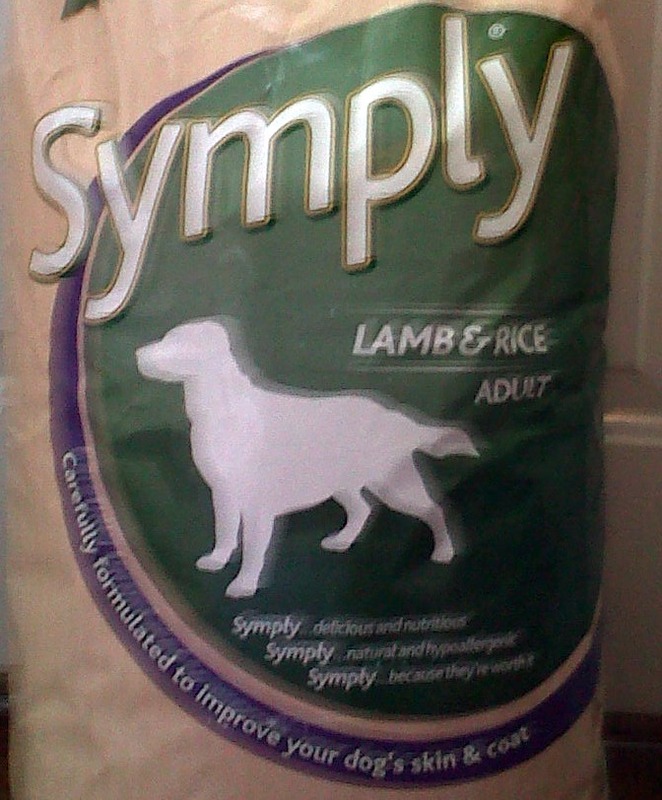 With no artificial colourings, flavours or preservatives and a high meat concentrate that your dogs and cats will love, Symply offers pet owners a way to give their companions a nutritional meal for a fair price." And I can't help but agree. Compared to other dry, healthy dog food we have offered Miller, there has been no difference in his enthusiasm to eat (this is not an area Miller struggles with!). Miller does seem to eat at a more steady pace with this dog food, but this is a benefit in my world, he is not sniffing around at meal times, and making me think he needs to be fed more. I am still always tempted to slosh milk on, and this didn't change with Symply. The dog food will definitely go on our list as Miller was fine in terms of digesting the food. We visited the vet last week for a check up and he agreed with the postives of the dog food in terms of giving Miller everything he needs. The vet did stress not too give him additional treats (does milk count as a treat?!). So, Symply for me is definitely a new option for Miller's food. We will still continue to rotate as we do now, Symply does come in three different flavours, so it can offer enough variety in itself. But I still think Miller deserves textures of food, so we'll see. But this review did also open my eyes to Pets Corner an online store provided by a family run company which opened its first pet store in 1968. An added bonus of the review has been discovered the wealth of products it provides. This may help in our efficiency drive- and stopping running out of cat and dog food at the most inconvenient times. For the purposes of this review, we recieved Symply from Pets Corner.